Seven Seas Explorer is known as the ‘Most Luxurious Ship Ever Built’ and we have high expectations for her forthcoming sister, Seven Seas Splendor. The all-inclusive experience is complemented by some of the most opulent surroundings at sea. Seabourn promises an intimate yacht-like experience, exemplified by newly launched Seabourn Ovation and her sister ship, Seabourn Encore. Hospitality designer, Adam D Tihany, brings classic maritime style to these floating boutique hotels. 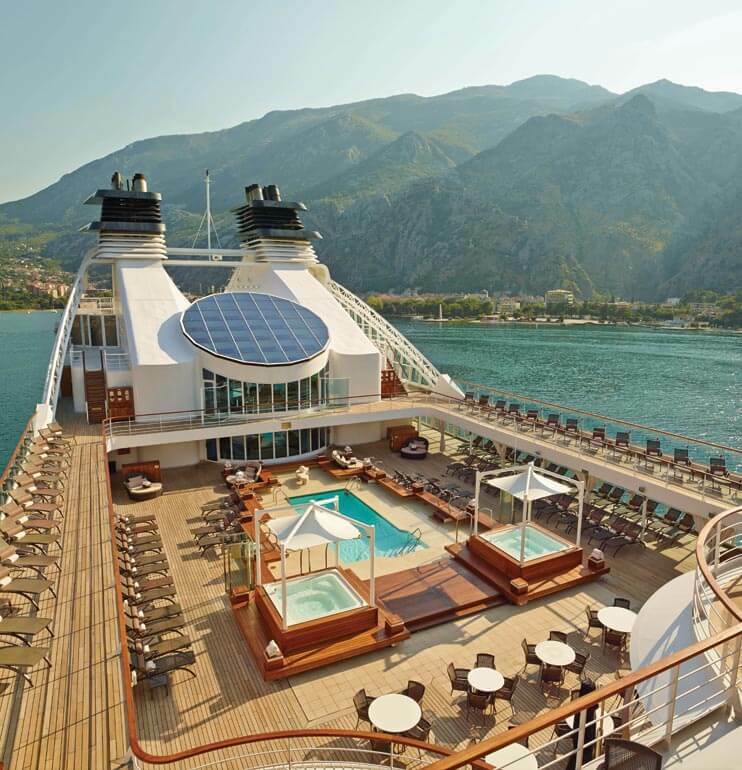 Silversea’s all-suite ships offer all the amenities of a larger ship in an elegant small-ship setting. The arrival of Silver Moon in 2020 will see the fleet grow to 10 ships, exploring 1,000 destinations across all seven continents.